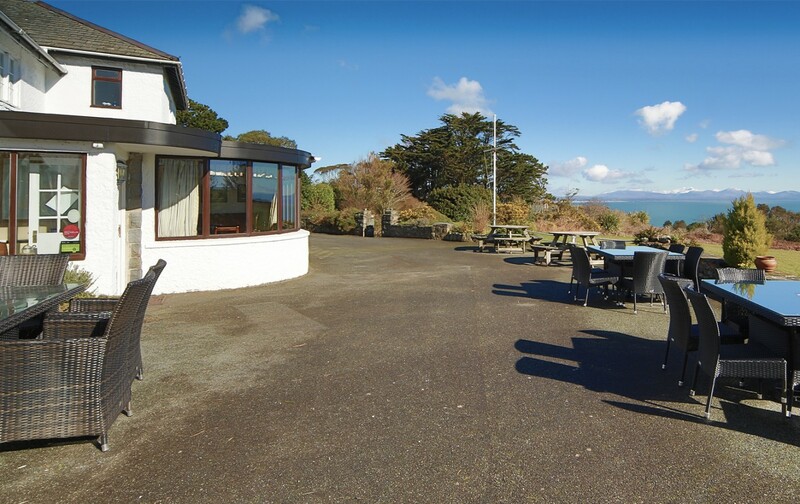 Porth Tocyn Hotel – An Abersoch Gem! Without a shadow of doubt, Porth Tocyn Hotel must have one of the most enviable views in the UK. 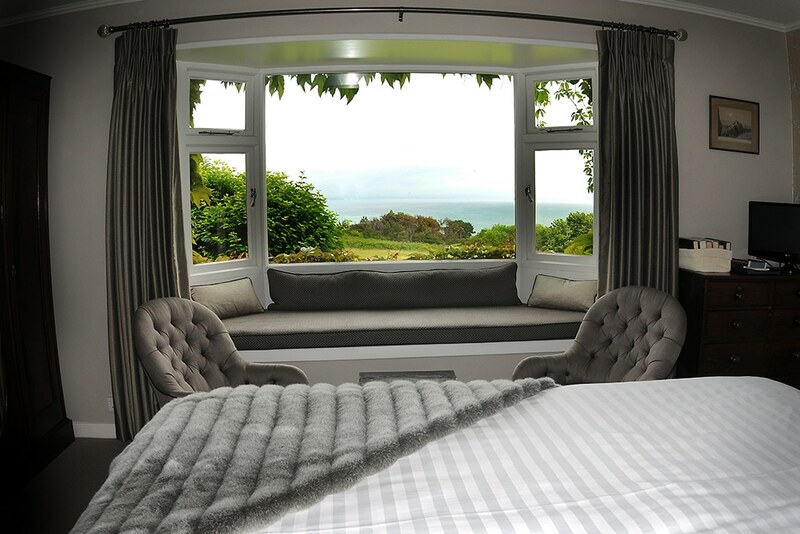 Looking down from the garden gives you the view of the crystal blue waters of Cardigan Bay and Abersoch beach, and with a quick glance up you are greeted with the entire Snowdonia mountain range; from Garnedd Goch to Cader Idris. I went on a crisp winter’s morning and with the mountains capped in snow, it really could not have been more beautiful. 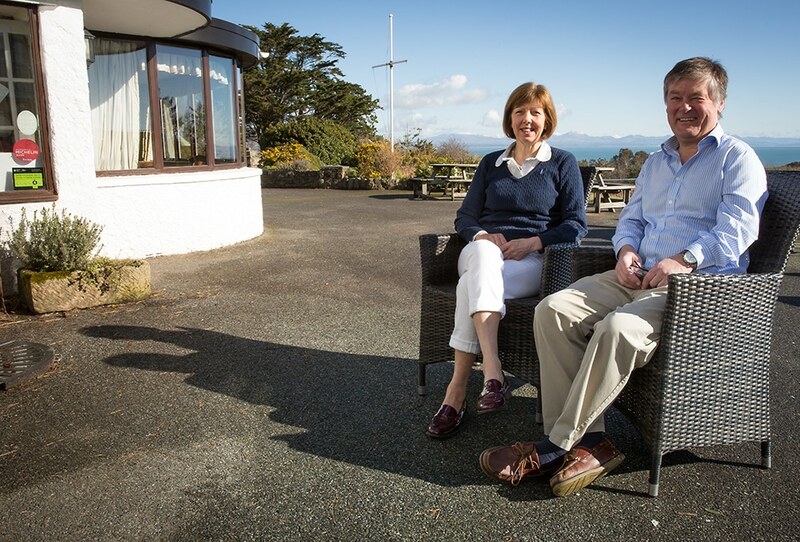 Porth Tocyn Hotel has been owned and run by the Fletcher-Brewer family since 1948. Based just two miles out from the main Abersoch village, it is a unique and intriguing place, unlike anywhere I have been in the area. Reminiscent of a bygone era, when you dressed for dinner and smoked cigars while playing cards in the drawing room, it definitely still has that underlying feel, but it’s updated and without necessarily realising it, en-vogue. It reminded me of an old money, country equivalent of Home House, but much more accessible in that everyone is welcome and there are no membership fees! The building itself was originally built as the manager’s house/office for the local lead mines in the 1800s. In 1898 when the mines closed, it was sold as part of the Ashton-Smith Estates. It is unclear what the house was used for after the sale, but in 1908 it was sold again becoming a ‘Gentleman’s Residence’; an Edwardian term for when a gentleman took a house in the country to entertain guests at the weekend. It was during this time that the gardens began life and a waterfall and orchards were put in. Abersoch at this time was a destination place for the very wealthy. As the train line only went to Pwllheli, if you wanted to go onto Abersoch, you either needed a car, paid for someone to get you there or you walked. As a result, it became an exclusive watering hole, attracting the rich folk from Liverpool. The opening of the yacht club in 1924 was another feather in its cap and the popularity of Abersoch grew further amongst the elite. In the early days, the hotel had a captive audience as the go-to place for those coming to the area to sail. Nick’s Grandmother was also very close to the boys from the Sharrow Bay Hotel in the Lake District and between them all, they developed two very successful country house hotels fulfilling gaps in the market that weren’t catered for at the time. It was the entry into the Good Food Guide that really put Porth Tocyn on the map, and this made way for the first extension in the late 50s where additional rooms were introduced by extending the height of the existing building. The 60s were their hey day and a new wing was built to accommodate the influx of visitors and guests. With the swinging 60s came the celebs… James Mason and his family were regulars as was Charlotte Rampling and her family. Nick’s grandfather was a stickler for dress codes at dinner and has been known to turn the likes of the chairman of Rolls Royce and Freddie of ‘Freddie and the Dreamers’ along with countless others from the dining room, for not being appropriately dressed for dinner. On one occasion, Charlotte Rampling arrived for dinner in a silk suit; a long tunic with trousers. His Father refused to let her in; the dress code did not allow ladies to wear trousers. Charlotte Rampling is said to have looked him in the eye and taken her trousers off there and then at the doorway. She was subsequently allowed in as she was now wearing a dress, albeit a very short one! Nick and his wife Louise took over the running of the hotel in the late 70s. They actually met at the hotel; Nick had returned home from university at Cambridge to take up the reins and Louise was working in the kitchen. A Cordon Bleu trained chef, she had worked for private families in Africa and Switzerland as well as the Sous Chef at Lords Of The Manor in the Cotswolds. She applied to an advert she saw in the Lady Magazine for a position at Porth Tocyn, and having secured the position decided to spend the summer in Abersoch before she left for a job in Australia later that year. Louise never made it to Australia. She met Nick, fell in love and the rest is history! When they first took over, the hotel was still on a high and so the initial years were very much spent learning the ropes. By the mid to late 80s Nick and Louise were moving the hotel into the ‘country house’ offering. It was no longer just a hotel, but an all encompassing escape to the country; a place to relax by the sea and mountains with a swimming pool, tennis court, lovely rooms and beautiful food all on site. The hotel currently has seventeen bedrooms, all with en-suite bathrooms with bath and shower facilities. The rooms are all good sizes and with lovely Egyptian cotton sheets, the beds look very cosy and the views from the bedrooms facing the mountains are incredible. A really great touch is the adjoining rooms so you can have a family room without being on top of each other. There is also the main dining room with a pre-drinks sitting room and bar area. A couple of drawing rooms give you the space to sit on one of the many sofas and read a book or chat; it’s very relaxed and informal here, really giving the feeling of being at home. At the back of the house is a kids snug area for watching TV and an adjoining games room; again, it has such a warm and friendly atmosphere. I know that my kids would love this area, a chance to get away from the adults and chill out with their friends; especially when they are at the in-between stage of being too old to be kids and too young to be able to go out on their own. Nick and Louise have also branched into self-catering and have one cottage already on site behind the hotel. The guests staying at the cottage have access to all the facilities of the hotel in terms of the restaurant, pool and tennis court should they want, giving them the best of both worlds. This has been a very successful introduction, and as a result, Nick and Louise will begin work this year for an additional three cottages to be added to the portfolio. It is a move that Nick felt was inevitable with the fast growing market of self-catering throughout the area, but their offering is totally unique in that the guests have use of all the hotel facilities if they want. Over the years other changes have been made in order to keep up with the times. Along with the more relaxed dress code (even Nick himself has finally traded in his dinner trousers for chinos this year), lunch ‘al fresco’ has become a much bigger business for them. The Welsh Coastal Path runs right along the bottom of their garden bringing a staggering 20,000 people to the foot of their garden every year. The lunch and afternoon tea menus have been adapted to cater for this audience, along with extending the seating and eating area outside. “On a beautiful day, it is magnificent,” says Nick. They also have little events on throughout the year to entertain guests like the Easter egg hunt they hold every year for the children staying at the hotel – it all adds to that homely relaxed feel. The hotel is also dog friendly, which is a rarity nowadays. All the food is homemade and that includes all the things you might not think would be, like the bread, ice-cream, petit fours, cakes, biscuits and muesli etc. 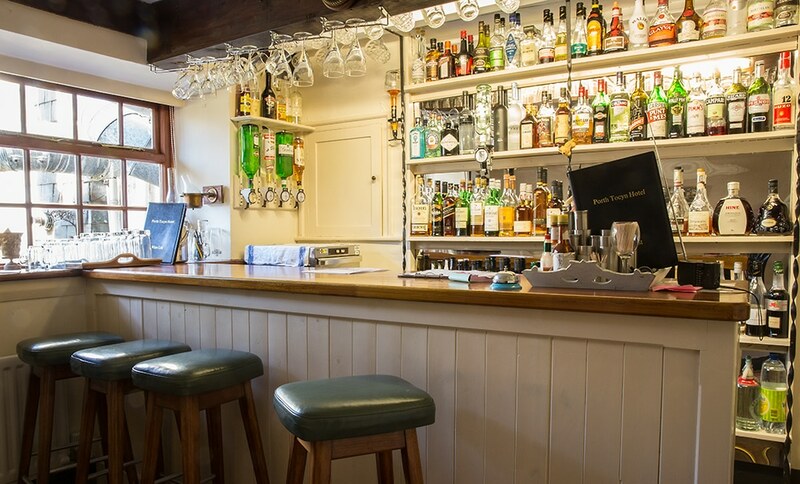 Ian Frost and Darren Sutten-Morris have been at the helm for the last 3-4 years offering incredible menus that change daily on the fine dining side. Lunch and light suppers can be anything from soup,pasta and sandwiches to burgers, salads and seafood – all homemade with quality ingredients of course! One thing they still offer to residents only is a children’s high tea –a quirk of the place I hope they keep. The Sunday lunch buffet has also proved to be very popular and is fully booked week after week making it a key part of their annual business. 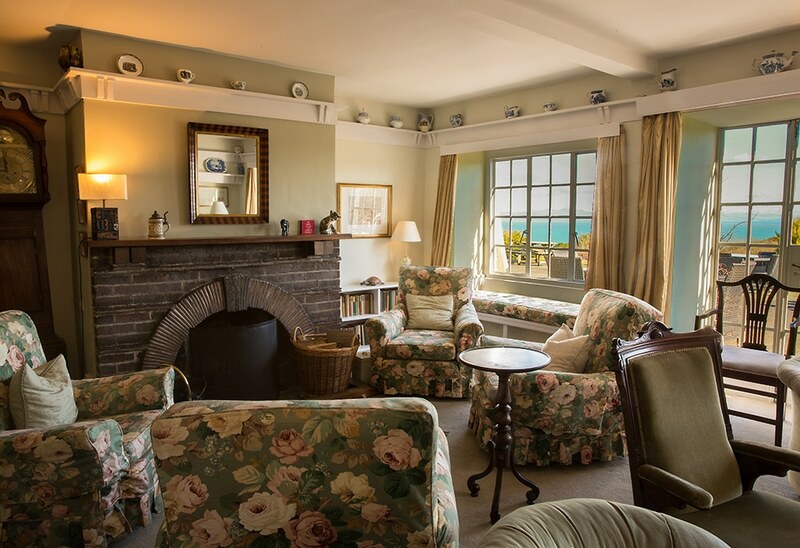 The hotel has won award after award including being in the 2016 Good Hotel Guide, The Welsh Rarebit Hotel for Distinction, North Wales Hotel of the Year and numerous Conde Nast awards such as the Best Coastal Hotel as well as the long standing Good Food Guide entry. Judging by the number of lovely messages they have in their guest book, Nick and Louise are clearly great hosts; both have lots to tell about the history of the hotel and the local area and I thoroughly enjoyed the time I spent talking to them. With the beach a stone’s throw away, incredible views, great food and a wonderful atmosphere, Porth Tocyn is a hidden gem of a place. Going there and meeting the family behind it really brings the history and uniqueness of it to life. Room prices start from £110 for a double. Please visit their website: www.porthtocynhotel.co.uk for more details or as they like to say, if you prefer the old school way, call them on 01758 713 303.